Thanks to openSUSE TSP, this was my first ever participation in openSUSE event. I spent 15 days in China, traveling outside Beijing after the event, One word to define the experience would be People, close second would be Food. In this trip I met some of the nicest, friendliest and most helpful people and had food I have never seen before or know the names of. The summit venue was very impressive, and the event was well organized, there were wide range of topics in both Chinese and English, including mine on openSUSE Education project. What was really missing in the event were many participants. It was a pleasure meeting all the attending community members: Saurabh Sood, Max Lin, Max Huang, Fuminobu Takeyama, Richard Brown, Anja Stock, Raghu Nayyar, Alick Zhou, Qian Hong, and all the magicians behind the curtains running the show: Sunny, Lance, Yifan et al. 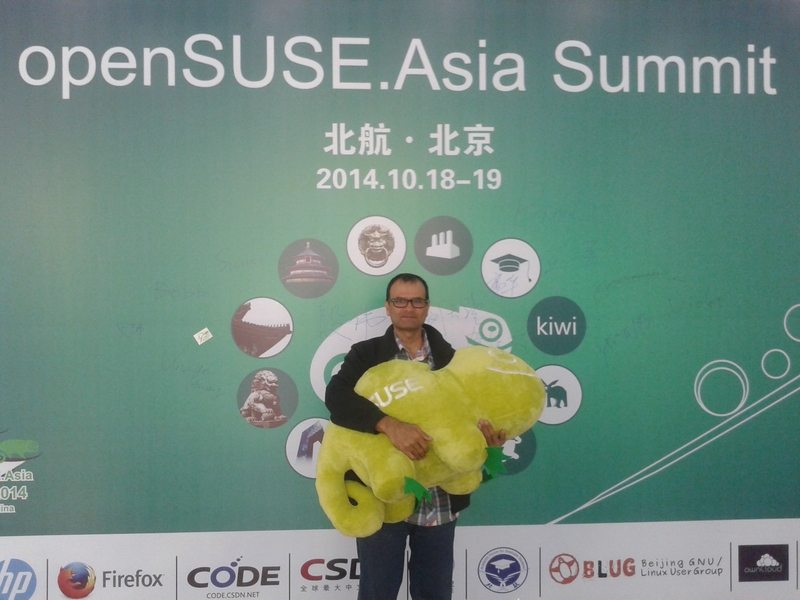 Hello Beijing and lovely people of openSUSE, I will be reaching there tomorrow, will be at Green Tree Inn close to the summit venue, packing some “sightseeing” before the event, if you are also there early drop me a line . There is a short talk about openSUSE Education scheduled on 19th. Check out the summit website to find out what other interesting stuff is on offer.